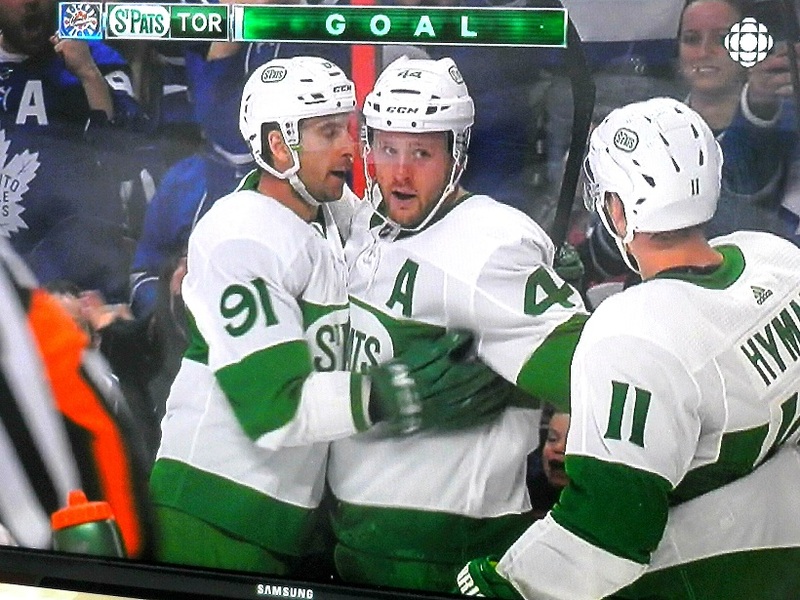 TORONTO (Mar. 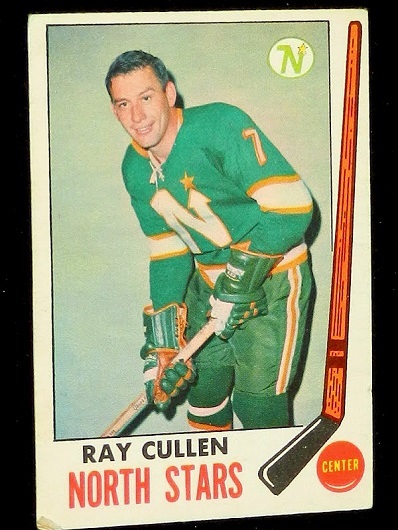 17) — Happy St. Patrick’s Day. 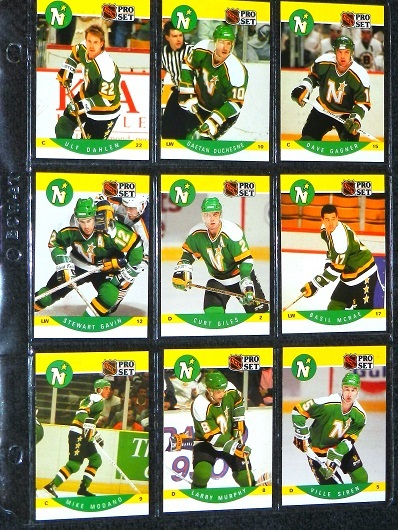 Happy green blog–print. 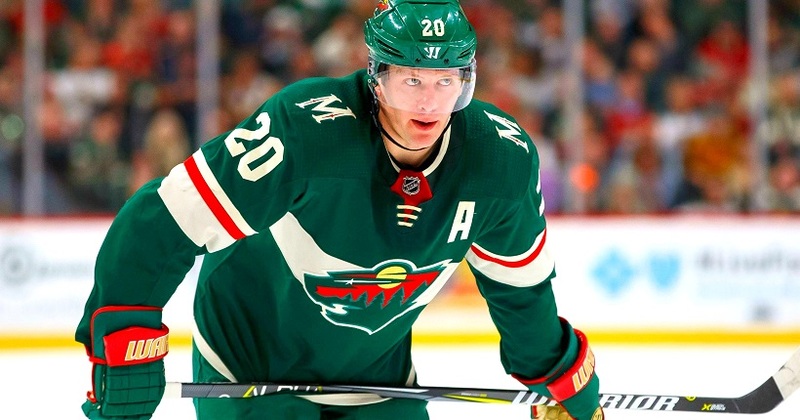 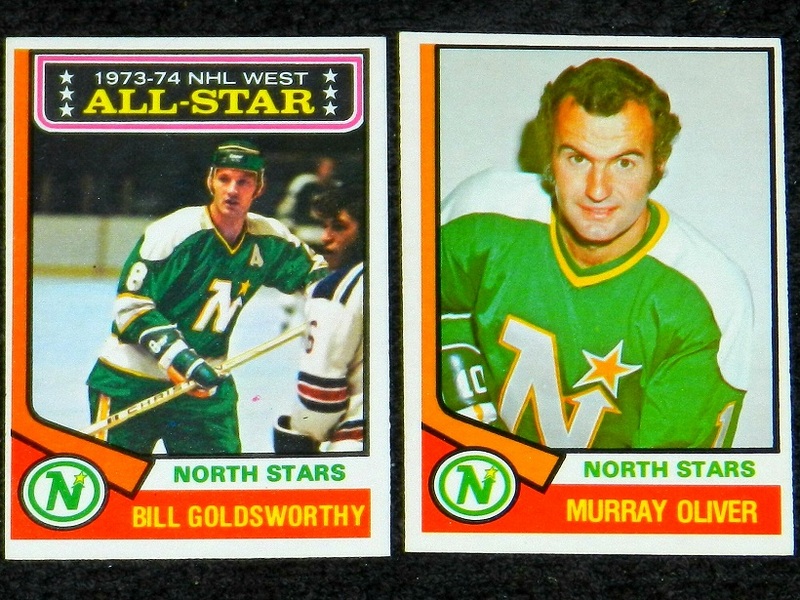 When the NHL doubled in size by adding six expansion teams in 1967–68, the California Seals and Minnesota North Stars became the first clubs since the Toronto St. Pats (in 1926) to wear green as primary color. 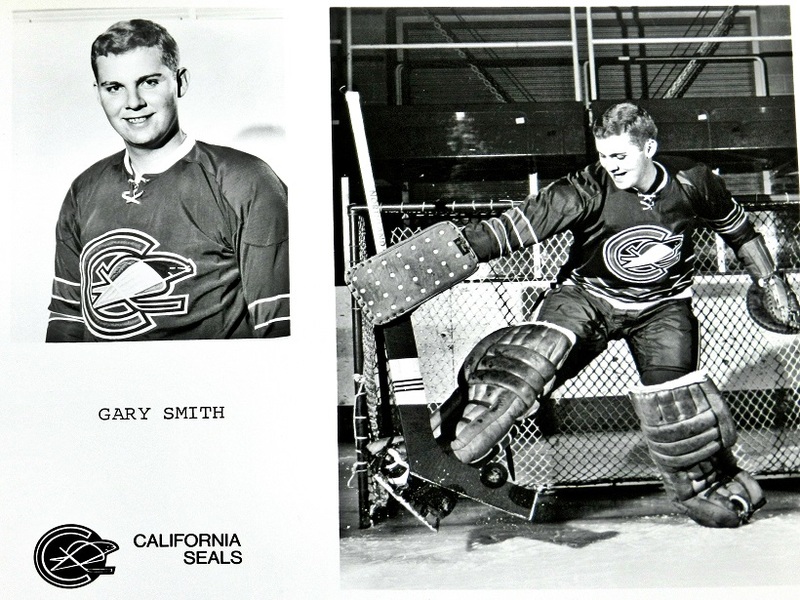 These black–and–white photos of the original Seals jersey were issued to media after training camp in 1967. 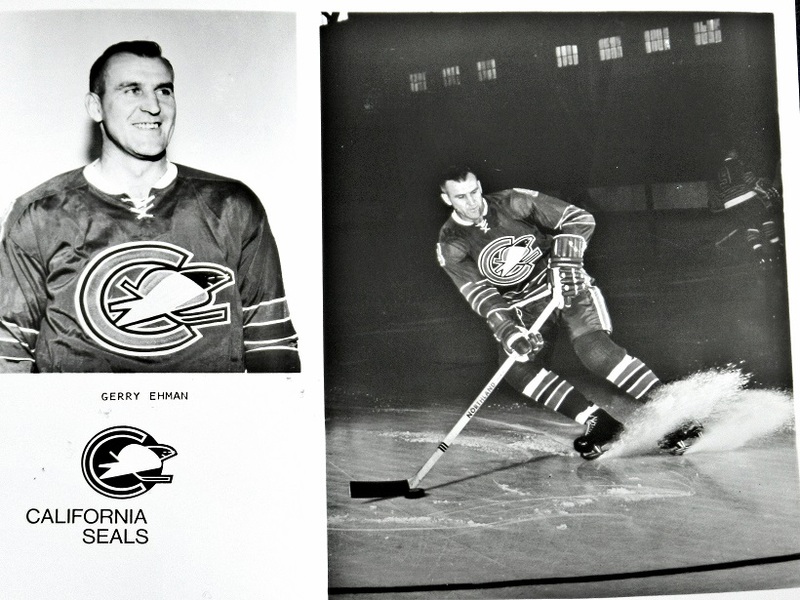 Both Gary Smith (above) and Gerry Ehman (below) had formerly played for the Leafs. 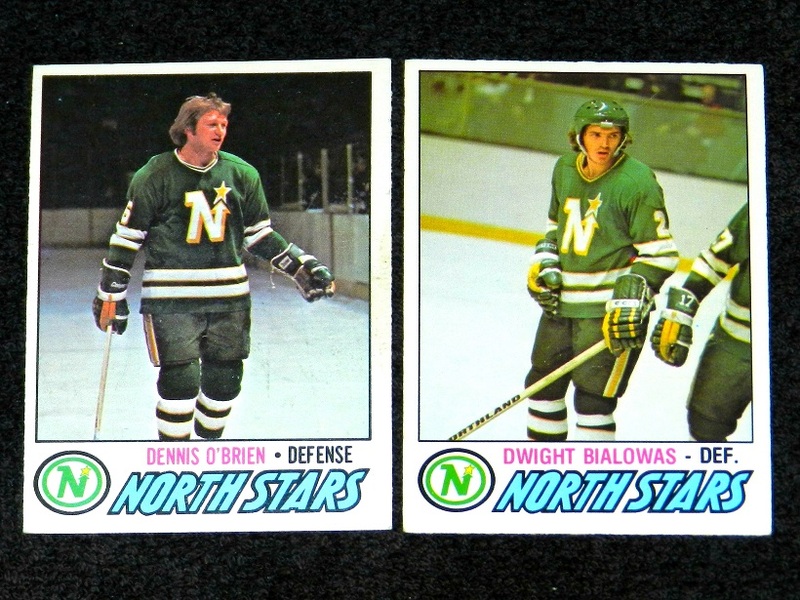 COLOR IMAGES (ABOVE) OF THE ORIGINAL SEALS AND NORTH STARS UNIFORMS. 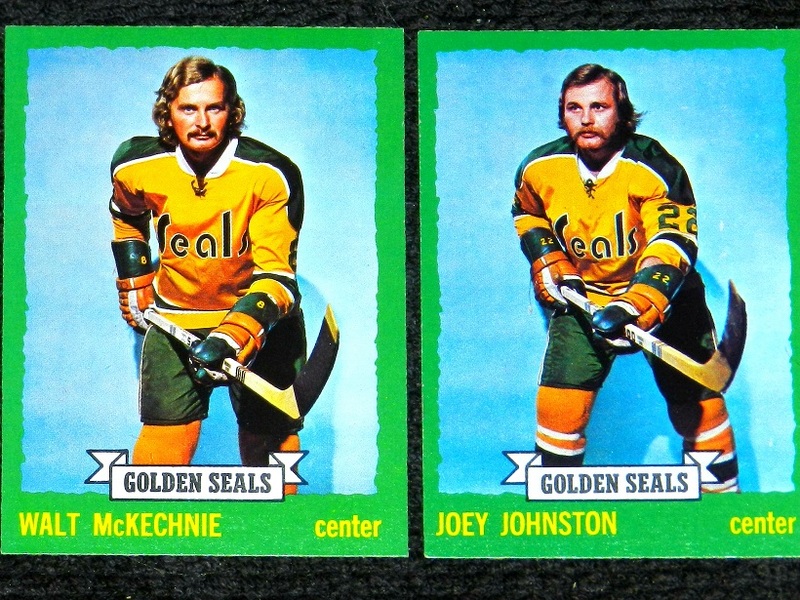 IN 1970–71, THE SEALS TURNED TO GREEN AND GOLD FOR FOUR SEASONS. 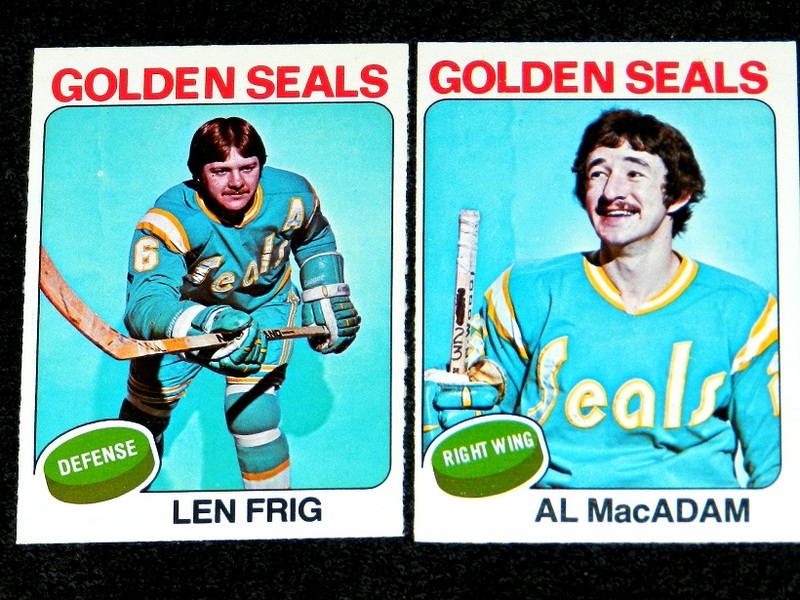 IN THEIR FINAL TWO NHL SEASONS (1974–75 / 1975–76), THE SEALS WERE LESS–THAN GREEN — WEARING MORE OF A TEAL OR TURQUOISE ON THE ROAD. 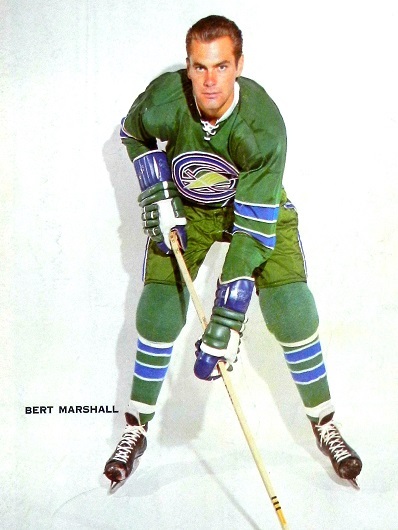 THE CLUB CALLED IT “PACIFIC BLUE”. 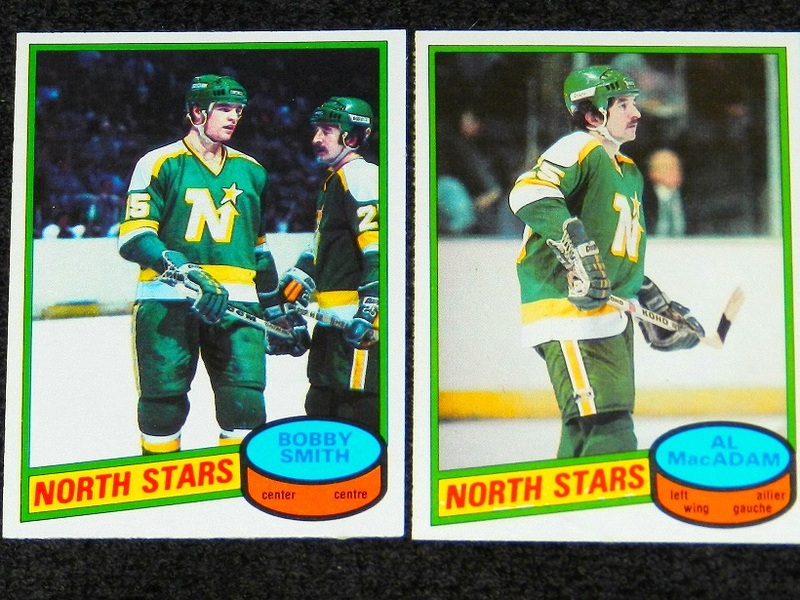 THE NORTH STARS VARIED THEIR UNIFORM DESIGN ON A FEW OCCASIONS BETWEEN 1968 AND 1991, BUT MAINTAINED GREEN AND GOLD AS PRIMARY COLORS. 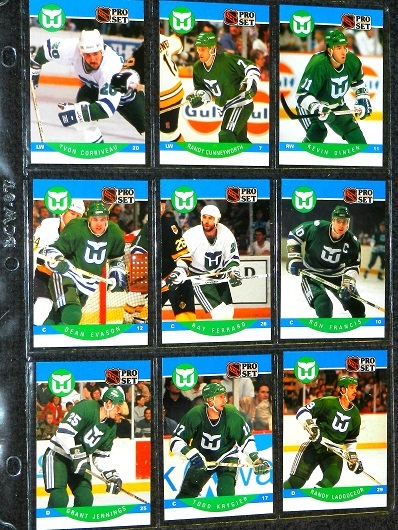 WHEN THE NHL ABSORBED FOUR REMNANTS FROM THE WORLD HOCKEY ASSOCIATION IN 1979–80, THE HARTFORD WHALERS (LEFT) JOINED MINNESOTA (RIGHT) IN WEARING GREEN. 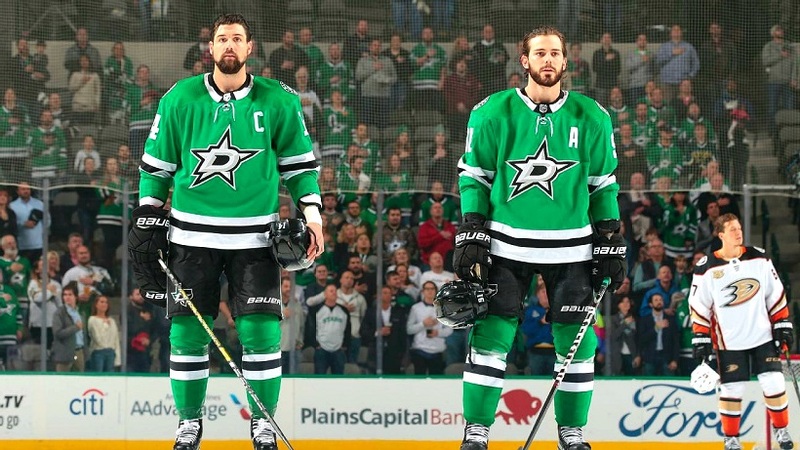 TODAY, THE DALLAS STARS (ABOVE) AND MINNESOTA WILD (BELOW) CARRY THE GREEN BANNER. 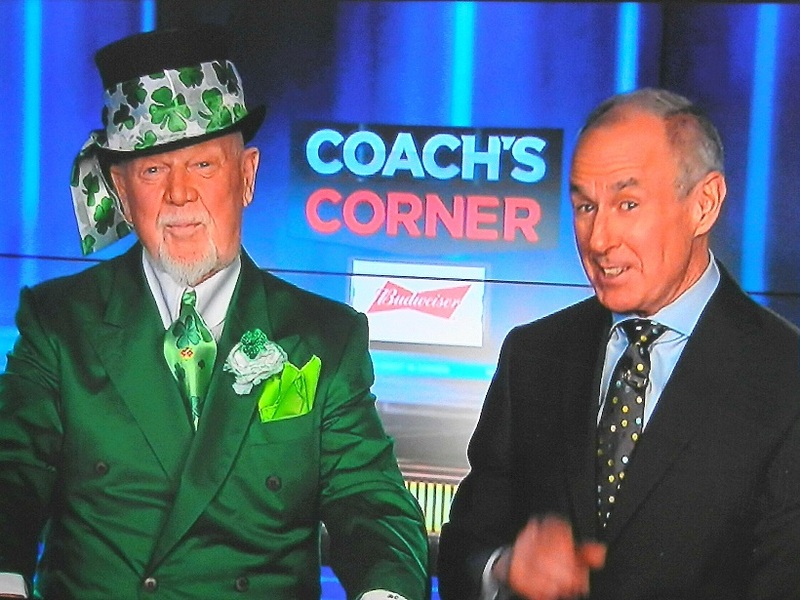 AND, WE KNEW THAT ONLY GREEN GRAPES WOULD APPEAR ON TV SATURDAY NIGHT.